What we often fail to love about Alabama the beautiful (Opinion) | al.com: wouldn't it surprise you, and most of the rest of the world, if it were known that the center of eastern North America's natural diversity isn't North Carolina (where we all go piled into the car when we want to see nature) or Florida or New England. 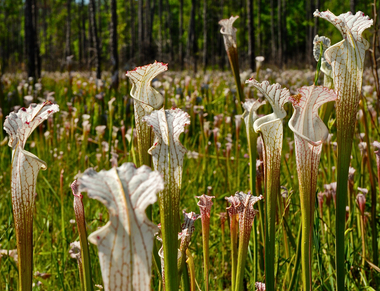 The center of eastern North America's natural diversity is, amazingly enough, little ol' Alabama. There are a tiny handful of states that have significantly more natural diversity. But California is nearly three times larger than Alabama, and Texas, good heavens, is six times larger. Of course they have more species. On the world's stage, Alabama walks with the giants of biological diversity.